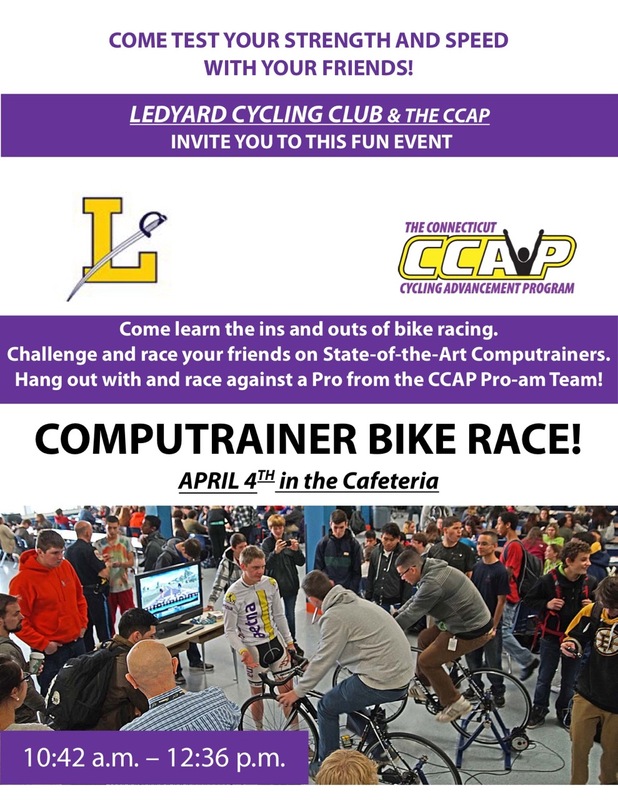 On Tuesday, April 4, Ledyard Cycling and CCAP will be hosting a computrainer session in the LHS cafeteria during both lunches. 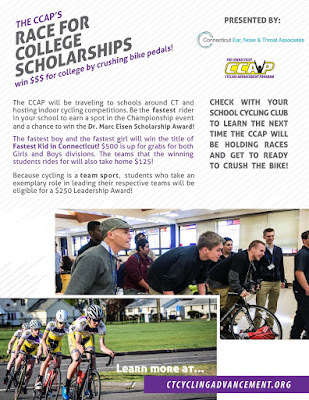 Come learn how bike racing makes you stronger in other sports. 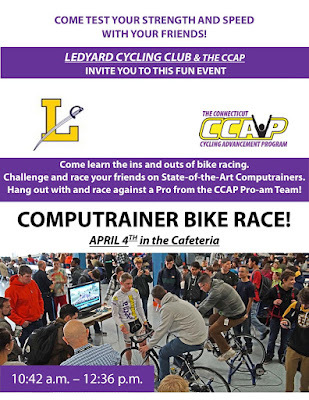 Challenge and race your friends (or teachers) on state of the art computrainers. Who are you going to race on Tuesday? 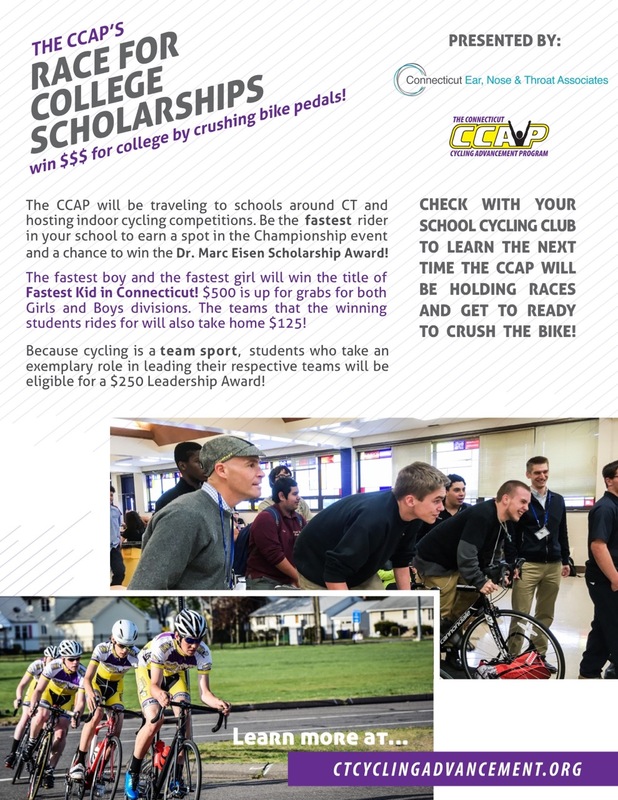 Also, the fastest student will be eligible to compete for a college scholarship. See below for more info.